Lemon Balm Side Effects - Why The Right Dosage Is Important? 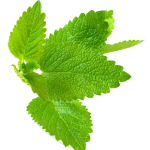 Additionally, lemon balm essential oil has long been used in various types of aromatherapy. And, there are also external lemon balm uses such as crushing the leaves into a rather effective mosquito repellent. Of course, one of the most common utilizations of this plant is in lemon balm tea which can include a variety of other herbs. While used in many commercial products such as ice cream, most ingredients with medicinal properties can have some adverse effects, and while uncommon, there are some lemon balm side effects that you should know about. Most of these involve dosage, and making sure that you are using the right amount is the first step to preventing lemon balm side effects. Dosage varies depending on application. Safe dosage for alzheimer’s patients for instance, is 60 drops of extract daily. While in healthy adults, a three time daily dose of 80 mg. has been deemed likely safe. However, safety has not been studied in long term use (over 4 months) and could lead to lemon balm side effects, just as exceeding dosages deemed safe can as well. The most commonly experienced lemon balm side effects are gastrointestinal in nature and include abdominal pain, vomiting and nausea. Additionally, users, particularly those guilty of overuse, might expect to encounter lemon balm side effects such as dizziness and occasionally wheezing. These are rare, however, and are much more likely to occur in cases of not following proper dosages or using for too long a length of time. Other important notes include potential drug interactions. People with thyroid conditions who are taking drugs like levothyroxine should not use lemon balm, because it may reduce the effectiveness of their medications. Additionally, lemon balm side effects can include interactions with sedative type medications. For the most part, however, lemon balm is relatively safe when used properly. Taking it in tea can be a very effective way to bring about relaxation, enhance the mood and help to get a restful night’s sleep. Additionally, headaches and eczema have also reportedly been quelled by enjoying a cup of lemon balm tea. For people experiencing the onset of a cold sore or even a common cold, the antiviral properties of lemon balm have been shown to be effective against both stymieing the onset and shortening the duration of these common ailments. While typically safe, it’s important to discuss any herbal remedies you might be considering with your health care provider, especially if you have health problems or are currently taking medications to ensure that they are safe for you. However, for the most part, you can enjoy lemon balm tea safely to help ease anxiety and increase your feelings of well being.